Holding tank decommissioned but plumbing still installed. The gas cooker is the portable cylinder type as is the cabin heater. Life jackets are 3 x Adult & 4 x Child. A classic Seamaster 23 in original gelcoat. Powered by a Perkins which is believed to be a 4108 model. An ideal first boat from a reliable stable. The saloon and forward cabin offer comfort and the gally is clean and tidy with plenty of worktop. A credit to the current owner. A current BSS certificate until July 2019. 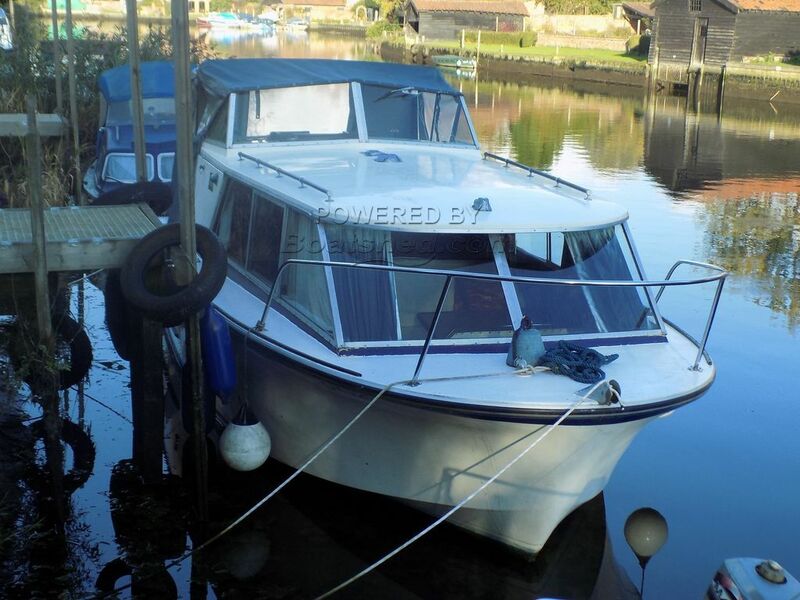 A really cracking river craft and the mooring could be available for transfer subject to negotiation and approval by the moorings owners. This Seamaster 23 has been personally photographed and viewed by Geoff Jaquest of Boatshed Suffolk. Click here for contact details. Please would you tell me how much the mooring fees would be for this boat if it were able to stay in the same mooring.